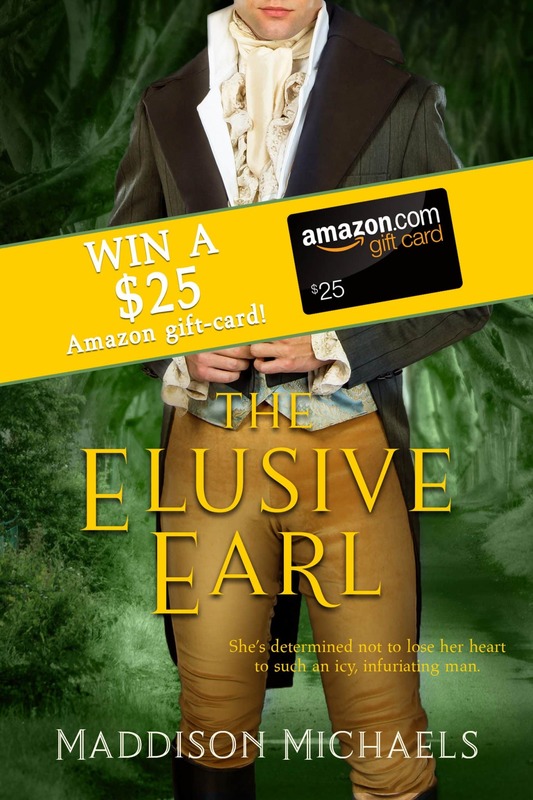 To celebrate the cover reveal and upcoming release of THE ELUSIVE EARL, my publisher Entangled Publishing are offering one lucky entrant in my giveaway a $25 Amazon gift-card. All you have to do is comment on the giveaway post on my Author Facebook page at: https://facebook.com/MaddisonMichaelsAuthor – It’s that simple! 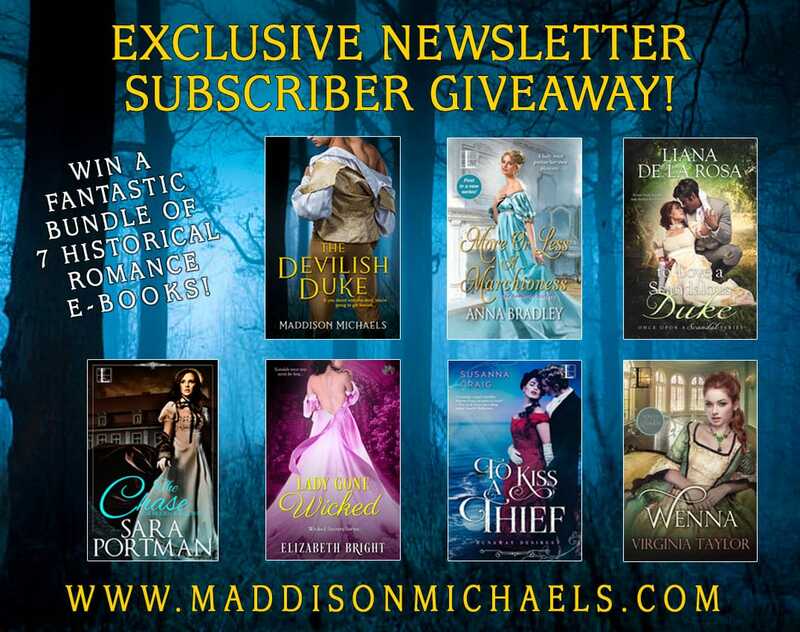 I’m so excited that it’s only 1week until the release of my debut, The Devilish Duke, that I am once again offering an Exclusive Giveaway to my Newsletter Subscribers! To pre-order a copy today click on the link below! To celebrate that The Devilish Duke is NOW available for PRE-ORDER, I will be giving away a $25 Amazon gift-card to all of you who LIKE my Facebook Author Page (https://www.facebook.com/MaddisonMichaelsAuthor) and leave a comment on my FB giveaway post. And for a BONUS entry take a pic or screenshot of your PRE-ORDER receipt and post it onto the GIVEAWAY post on my author page. It’s that simple! I will randomly draw a winner from the posts on the 26th February. YAY! So excited. I’m so excited that it’s only 2 weeks until the release of my debut, The Devilish Duke, that I am offering an Exclusive Giveaway to my Newsletter Subscribers!